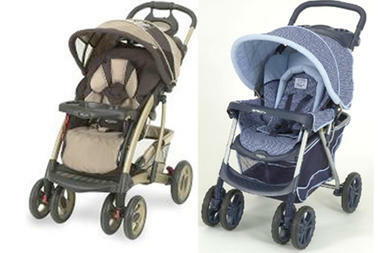 Graco has recalled at least two million strollers due to the potential for strangulation of infants. These strollers have already killed four babies. The Graco stroller recall was, apparently, prompted when babies were getting their necks stuck under the tray. Check the serial number of your stroller and if you own one of the recalled lots, STOP USING your Graco stroller IMMEDIATELY! Here is a list of the recalled products. The Graco recall is so extensive and serious that it has prompted Federal review of all stollers. This is not the first time Graco has had problems with their strollers. You may recall a recall in January of this year due to the tendency of Graco strollers to cause fingertip amputation of the babies riding in these strollers. I hope you baby has not been injured by these Graco strollers, but they are, obviously, very popular models.